Get ready to meet your next hire. 92% of exhibitors rate the quality of candidates favorably. Career fairs work and no one does them better than RecruitMilitary. With over 100+ job fairs in 55+ markets every year, RecruitMilitary understands how to help you find success with delivering high quality veteran talent. Connect with active duty military job seekers at one of our Military Base Events. Special bundling options and two-day consecutive base event pricing available. Career fairs work and no one does them better than RecruitMilitary. Combine virtual career fairs with our physical job fairs and expose your organization to thousands of veterans across a region. Receive all benefits as a virtual exhibitor at a discounted rate. Registration must be completed 30 days prior to event date. This combination of relevancy and personal service dramatically increases engagement and, ultimately, campaign success. Candidates will hear from a fellow veteran about your opportunity, they will have a direct line to ask questions, and receive a clear push to apply. Make a big impression through an ad in our magazine -- Search & Employ®. Search & Employ® is a bimonthly print and digital magazine packed with articles that help transitioning and veteran military and their spouses find jobs. It focuses on specific industries and contains articles that help candidates improve their job-hunting skills. We invite you to submit material to be considered for an article. Email se@recruitmilitary.com for more information. In addition to the 50,000 print copies sent to military bases and our job fairs, your ad will appear in the digital replica for our online audiences. The live links in your ad will deliver readers right to you! This includes a general and display ad in our monthly newsletter that highlights select opportunities for veterans. Tell a bigger story about your brand. Attracting 125,000 unique website views per month, our microsites and ads are a great way to increase qualified traffic to your company’s career pages. This is an economical way to help meet OFCCP job-listing requirements and is ideal for large national companies in need of a constant candidate flow. With over 100 job fairs in 60+ markets every year, RecruitMilitary understands how to host a premium event. Our Regional-Based Solutions allow you to sign up for multiple events in the same region, a virtual career fair, and access a local database with unlimited job postings. Gain access to a range of bundled services specially designed and priced to meet the needs of small business owners. Becoming a member of the small business veteran hiring community has its privileges. 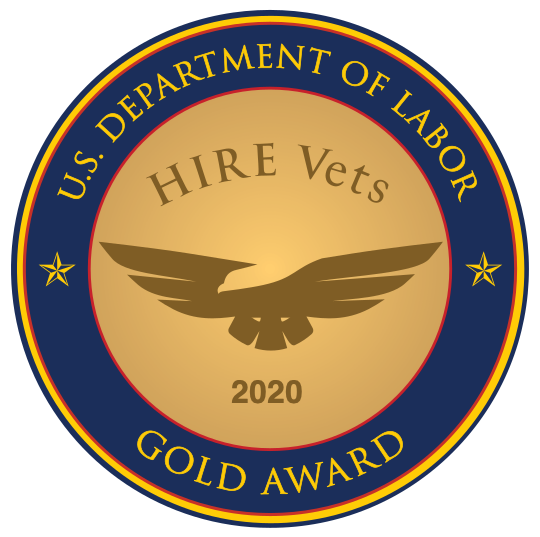 Over the years, RecruitMilitary has helped organizations across the country to connect with high-quality veteran candidates via our well-attended and highly regarded veteran job fairs. In recognition of the work you do every day to “protect and serve” our communities, RecruitMilitary is pleased to offer discounted pricing to local public safety agencies looking to hire veterans.